Thank you to Small Batch Naturals for providing today’s giveaway prize! 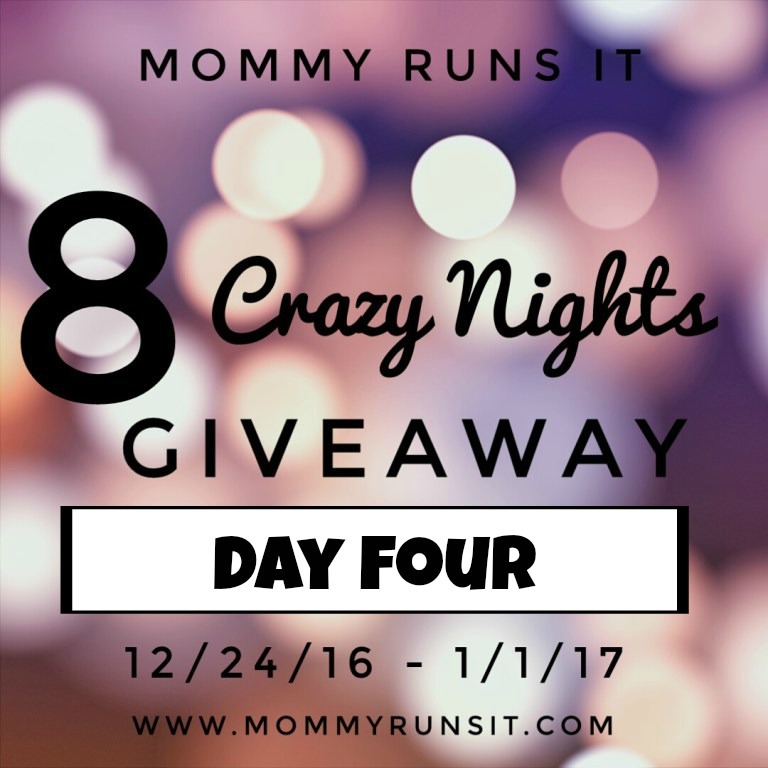 Welcome to Day Four of my 8 Crazy Nights Giveaway! 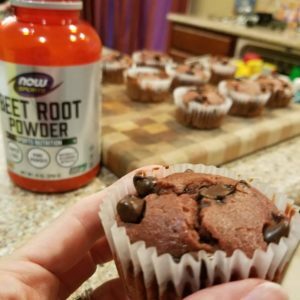 If you’re stopping by for the first time, make sure you check out my other giveaways: Day One | Day Two | Day Three. And keep an eye out for new daily posts – I’ve got a LOT more stuff to give away! 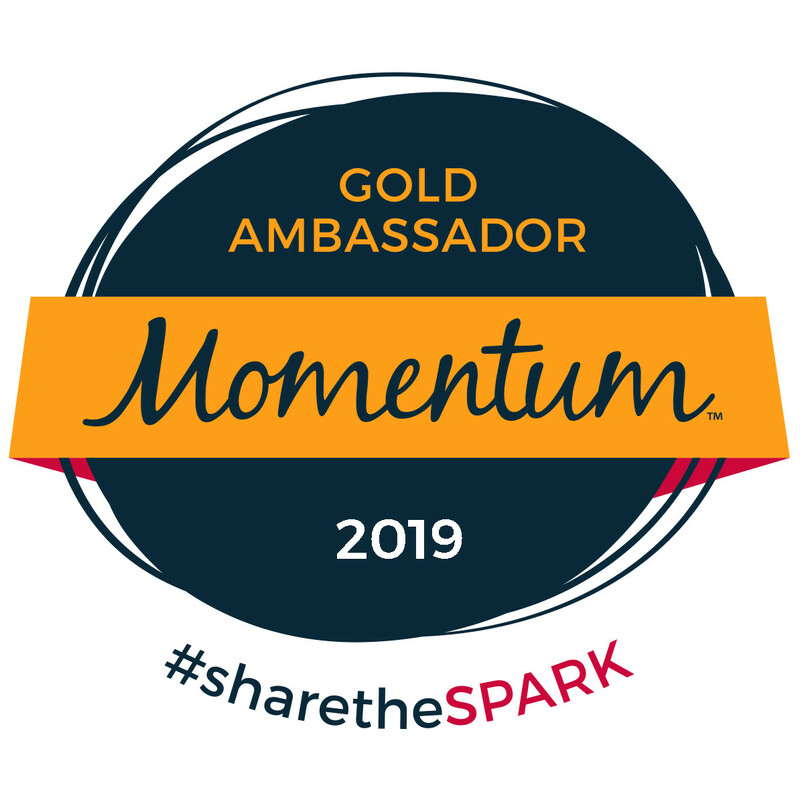 I’m particularly excited about tonight’s prize for two reasons: 1) I get to introduce you to an amazing small business, and 2) The business owner and creator is a personal friend and, hands down, one of the coolest women I know. Oh, and her products are amazing! Seriously – everyone at our school goes crazy over them. Pit Stop: a clean & safe underarm deodorant. It’s all-natural, aluminum-free, non-irradiated, petrol chemical-free, naturally anti-bacterial, odor-fighting, and effective! 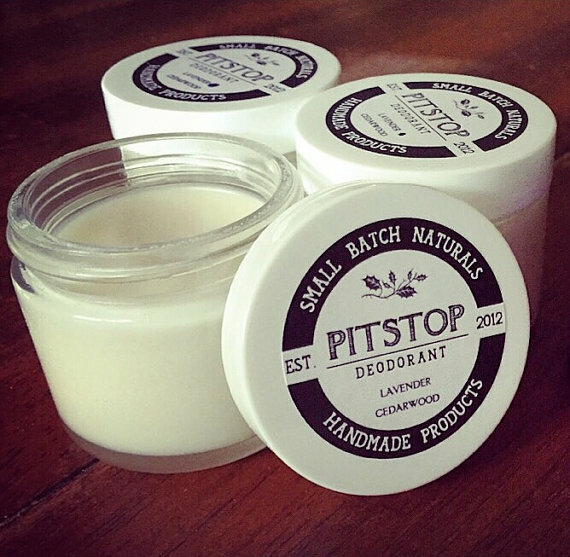 One jar of Small Batch Naturals’ Pit Stop underarm deodorant lasts for months. The giveaway package will include the Cedarwood/Cinnamon Bark/Basil blend – formulated with growing boys and men in mind, but a great choice for both men and women. 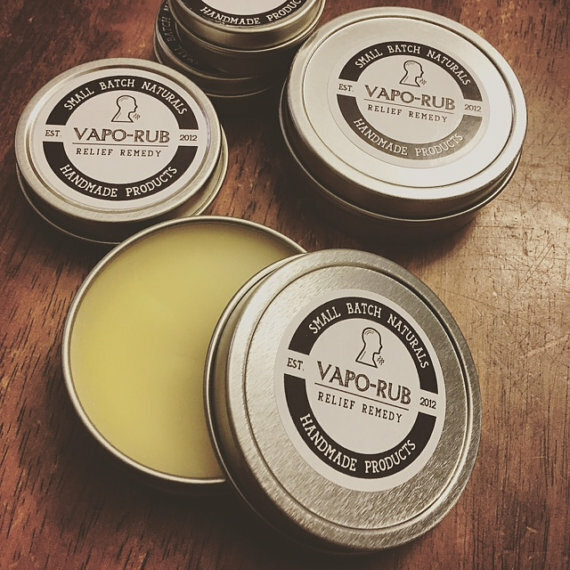 Vapo-Rub: a safe & effective alternative to OTC sinus-clearing, cough-suppressing, topical chest rubs. This blend of high quality, therapeutic grade essential oils of lavender, rosemary, eucalyptus, and peppermint, as well as organic coconut oil, organic jojoba oil, natural beeswax, camphor, and organic menthol crystals will help you combat cold and flu season – safely! 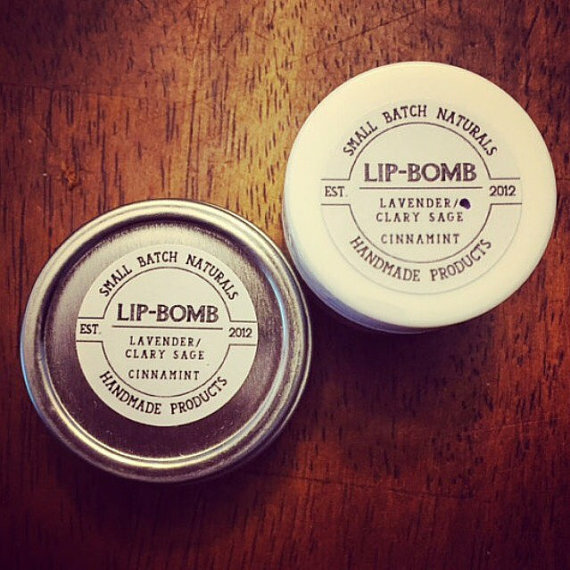 Lip-Bomb: a clean, creamy, natural lip balm. The prize package will include the Lavender/Clary Sage Lip-Bomb, which is made with clary sage, lavender, cocoa butter, coconut oil. and sweet honey beeswax. Bonus: It’s also great for soothing bug bites and small skin irritations! The total value of this prize package is $30. To enter this giveaway, follow the instructions on the Rafflecopter below. I use essential oils daily. I love lavender and sandalwood. Yes! I use essential oils! Lavender is my favorite. My wife bought a bunch of peppermint essential oils awhile back. I’m not exactly sure what she used it for but other than that, we haven’t really ever used essential oils. I’ve heard many people swear by them though. Yes I use them. Stress AWay is my fav! Yes I use essential oils. My favorite is lavender! I enjoy lemongrass quite a bit. Thanks so much for the chances to win. Peppermint oil is my favorite because it repels spiders and anything that does that is aokay in my book. I love lavender and vanilla. I love to clean with orange essential oils. I LOVE lavender and orange oils! Lavender we use sometimes and peppermint. I dont much use many essential oils. I do use eucalyptus for colds, but am interested in more oils. Lavender is my favorite essential oil! I’ve never used essential oils before. my boyfriend got me a “zen” essential oil with a pendant to put a drop of it on and i love it! 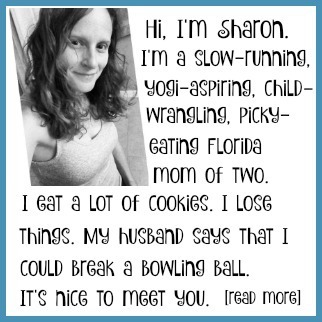 I really like essential oils…peppermint is my favorite – it’s such an uplifting scent. I have been learning about oils this year. My fave right now is bergamot! I use a lot of peppermint essential oils. I love to use lavender in my kids room, to help them calm down before bed! My favorite is lavender, I swear it helps my kids calm down before bed! I have used a few essential oils but have not gotten too deep into it.